During her visit to Saba and Bonaire at the beginning of September 2015, State Secretary of Economic Affairs, Mrs. Sharon Dijksma, publicly announced the establishment of the “Yarari” Marine Mammal and Shark Sanctuary, which encompasses all of the waters around the islands of Bonaire and Saba including the Exclusive Economic Zone (EEZ). The name of the Sanctuary “Yarari” is a Taíno Indian word, meaning ‘a fine place’. The populations of sharks worldwide are in sharp decline and therefore in urgent need of protection from illegal fishing and fisheries by-catch. The local nature conservation and fisheries organizations will be involved in the protection. This is only the eleventh shark sanctuary in the world. 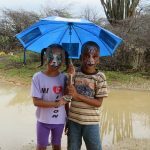 This landmark event is a very welcome first step towards the full protection of sharks, rays, whales and dolphins throughout the waters of the Dutch Caribbean. The declaration will form the basis for legislative measures to ensure their protection. Recent reports by IMARES* have helped to underpin the urgent need for a whale and shark sanctuary in the Dutch Caribbean, providing a first glimpse of which species can be found in the Dutch Caribbean, as well as recommendations for measures to ensure their protection. Fish stock research has shown that a decrease in number of sharks, as top predators, leads to a disturbed natural balance in the sea. This can affect the overall fish population, and good fish stocks are not only important for fishermen on the islands that depend on fishing, but also for tourism. Many species of whales and dolphins are known to inhabit the waters around the Dutch Caribbean islands, including orcas, humpback whales and sperm whales, more than twenty different species. Humpback whales spend the winter months in the warm Caribbean waters where they calve and nurse the baby whales during their first few months until they are strong enough to begin the trek to their feeding grounds in the cold Northern Atlantic waters off the Eastern shores of the US and Canada, around Greenland and Iceland, as well as in Northern European waters. The Sanctuary is intended to focus research of the various marine mammal populations to learn more about their lives and the threats they may be under so we will learn how best to protect them. Like sharks, marine mammals are important for tourism. 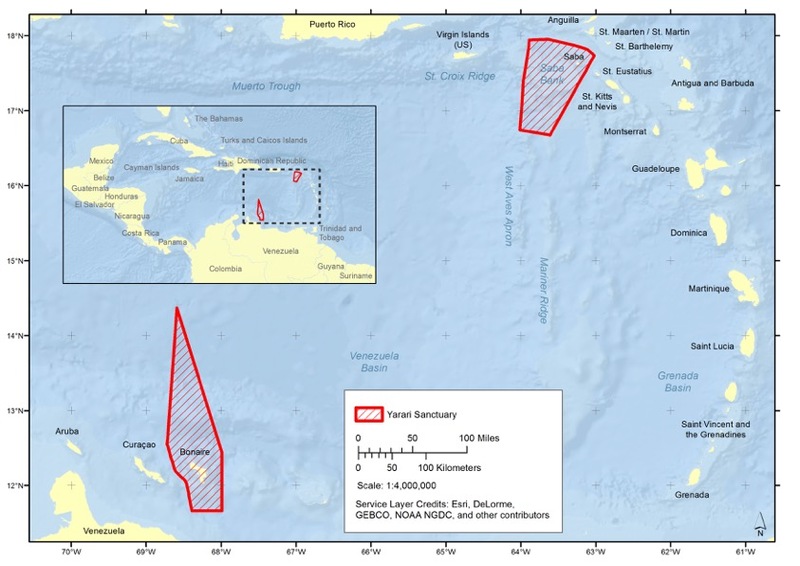 The Yarari Sanctuary will form part of a network of marine mammal sanctuaries in the region, including the Stellwagen Bank National Marine Sanctuary in the northern USA, an important summering ground for humpback whales, the French Caribbean “Agoa” Sanctuary and the Dominican Republic Marine mammal Sanctuary, which includes the Silver Banks.